John Baptist Mission of Togo / Mission Jean Baptisté au Togo / Imprint - Impressum. from off all the earth: For the LORD hath spoken it." And The Relatives Which Have Loved Lost Ones. April 10, 2010 and in service of those people which have lost ones and in service of the People of the Republic Of Poland. of those people which have lost loved ones and with the People of the Republic of Poland. (which left in 1950 Europe to live in Australia, displaced people), the survivors, the relatives and the The People of Poland. The list of people who died tragically in the crash of the Presidential airplane near Smoleńsk, Russia, on 10 April 2010. Lech Kaczyński, President of the Republic of Poland elected in 2005. Formerly a Senator, MP, a Solidarity official, President of the Supreme Chamber of Control, Minister of Justice in the Jerzy Buzek’s Cabinet, Mayor of Warsaw. Had daughter Marta and two granddaughters. Maria Kaczyńska, The First Lady. Patron to public charity organisations and campaigns. She provided support to artistic circles involved in cultivating Polish culture and tradition. Ryszard Kaczorowski, the last President of the Polish Government-in-exile. Holder of honorary degrees from four universities and of numerous decorations, including the Order of the White Eagle. Joanna Agacka-Indecka, President of the Polish Bar Council. Ewa Bąkowska, Representative of the Katyń Families. Andrzej Błasik, Lieutenant General, Commander of the Polish Air Force. Decorated: Gold Medal of Merit for National Defence, Silver Medal in the Service of the Armed Forces of the Homeland and Bronze Cross of Merit. Krystyna Bochenek, Deputy Speaker of the Senate. Member of the Parliamentary Caucus of the Civic Platform. Anna Maria Borowska, Representative of the Katyń Families. Bartosz Borowski, Representative of the Katyń Families. Tadeusz Buk, Major General, Commander of the Polish Land Forces. Decorated: Chevalier’s Cross of the Order of Polonia Restituta, Commander’s Cross of the Order of the Military Cross, Silver Cross of Merit and Bronze Cross of Merit. Czesław Cywiński, President, Central Management Board, World Association of Home Army Soldiers. Decorated: Commander’s Cross with Star of the Order of Polonia Restituta, Commander’s Cross of the Order of Polonia Restituta, Chevalier’s Cross of the Order of Polonia Restituta. Leszek Deptuła, MP. Member of the Parliamentary Caucus of the Polish People’s Party. Zbigniew Dębski, Lieutenant Colonel, Member of the Chapter of the Order Virtuti Millitari. Grzegorz Dolniak, MP. Deputy Chairman of the Parliamentary Caucus of the Civic Party. Katarzyna Doraczyńska, Representative of the Chancellery of the President. Edward Duchnowski, Representative of the Katyń Families. Aleksander Fedorowicz, Interpreter of the Russian language. Janina Feltińska, Senator. Member of the Parliamentary Caucus of the Law and Justice Party. Jarosław Florczak, Lieutenant Colonel, Government Protection Bureau. Artur Francuz, Warrant Officer Class 1, Government Protection Bureau. Franciszek Gągor, General, Chief of the General Staff of the Polish Armed Forces. Decorated: Officer and the Chevalier Crosses of the Order of Polonia Restituta, Gold Cross of Merit, Legion of Merit (USA) and Legion of Honour (France). Grażyna Gęsicka, MP. Chariperson of the Parliamentary Caucus of the Law and Justice Party. Kazimierz Gilarski, Brigadier General, Commander of the Warsaw Garrison. Decorated: Officer and the Chevalier Crosses of the Order of Polonia Restituta, Silver and Gold Crosses of Merit, Silver Medal in the Service of the Armed Forces of the Homeland, Gold Medal of Merit for National Defence. Przemysław Gosiewski, MP. Former Deputy Prime Minister in the Jarosław Kaczyński’s Cabinet. Member of the Parliamentary Caucus of the Law and Justice Party. Bronisław Gostomski, Prelate, Representative of the Katyń Families. Robert Grzywna, Major, Aircrew member. Mariusz Handzlik, Secretary of State in the Chancellery of the President in charge of foreign matters. Roman Indrzejczyk, Prelate, Chaplain of Chancellery of the President. Paweł Janeczek, Lieutenant, Government Protection Bureau. Dariusz Jankowski, Representative of the Chancellery of the President. Izabela Jaruga-Nowacka, MP. Former Deputy PM in the Mark Belka’s Cabinet. Associated with the Democratic Left Alliance Party. Józef Joniec, Priest, Representative of the Katyń Families. Sebastian Karpiniuk, MP. Member of the Parliamentary Caucus of the Civic Platform Party. Andrzej Karweta, Vice-Admiral, Commander of the Polish Navy, with a history of service in various command-level positions with the North Atlantic Treaty Alliance. Mariusz Kazana, Head of the Diplomatic Protocol. Professional diplomat. Janusz Kochanowski, Polish Ombudsman. Founder and Chairman of the Ius et Lex Foundation. Published papers on criminal, administrative and constitutional law and on international relations. Stanisław Komornicki, Retired Brigadier, Chancellor of the Order Virtuti Millitari. Decorated: Order Virtuti Millitari, Cross of Grunwald and the Order of Polonia Restituta. Stanisław Jerzy Komorowski, Deputy Minister of National Defence. Responsible for negotiations of the USA military presence, including the Patriot missile launchers, in Poland. Paweł Krajewski, Warrant Officer Class 2, Government Protection Bureau. Andrzej Kremer, Deputy Minister of Foreign Affairs. One of authors of the EU’s Eastern Partnership programme. Zdzisław Król, Priest, Representative of the Katyń Families. Janusz Krupski, Head of the Bureau for Veterans and Repressed Persons. Janusz Kurtyka, President of the Institute of National Remembrance. Member of the underground opposition in Krakow during the Communism. Decorated: Commander’s Cross with Star of the Order of Polonia Restituta. Andrzej Kwaśniak, Priest, Representative of the Katyń Families. Chaplain of the Federation of Katyń Families. Bronisław Kwiatkowski, Lieutenant General, Commander of the Polish Armed Forces - Operational Command. Decorated: Officer’s Cross of the Order of Polonia Restituta, Commander’s Cross of the Order of the Military Cross, Gold Cross of Merit. Wojciech Lubiński, Colonel, MD, President’s Physician. Tadeusz Lutoborski, Representative of the Katyń Families. Barbara Mamińska, Head of the Staff and Distinction’s Office, Chancellery of the President. Zenona Mamontowicz-Łojek, Representative of the Katyń Families. Stefan Melak, Representative of the Katyń Families. Decorated: Commander’s Cross of the Order of Polonia Restituta. Tomasz Merta, Deputy Minister of Culture and National Heritage in charge of the preservation of historic monuments, cultural values and museums. Andrzej Michalak, Warrant Officer Class 2, Aircrew member. Dariusz Michałowski, Captain, Government Protection Bureau. Stanisław Mikke, Representative of the Katyń Families. Aleksandra Natalii-Świat, MP. Deputy Chairperson of the Parliamentary Committee of Public Finance. Deputy President of the Law and Justice Party. Janina Natusiewicz-Mirer, Representative of the Katyń Families. Piotr Nosek, Second Lieutenant, Government Protection Bureau. Piotr Nurowski, President of the Polish Olympic Committee. Member of the Executive Committee of the European Olympic Committees. Bronisława Orawiec-Löffler, Representative of the Katyń Families. Jan Osiński, Father Lieutenant Colonel, Secretary of the Field Bishop. Adam Pilch, Father Colonel, Representative of the Evangelical Field Ministry. Katarzyna Piskorska, Representative of the Katyń Families. Maciej Płażyński, Chairman of the Polish Community Association. Former Speaker of the Parliament and Deputy Speaker of the Senate. Co-founder of the Civic Platform. Member of the Anticommunist opposition. Tadeusz Płoski, Bishop Major General, Bishop of the Military Ordinariate of the Polish Army. Member of the Legal Council of the Polish Episcopate. Delegate of the Conference of the Polish Episcopate for the scouting movement, the veterans and the ministry in the Police. Agnieszka Pogródka-Węcławek, Junior Warrant Officer, Government Protection Bureau. Włodzimierz Potasiński, Major General, Commander of the Polish Special Forces. Decorated: Officer’s Cross of the Order of Polonia Restituta. Arkadiusz Protasiuk, Captain, Aircrew member. Andrzej Przewoźnik, Secretary-General of the Council for the Protection of Struggle and Martyrdom Sites. The organiser of the Katyń commemorations and the creator of Polish Military Cemeteries at Katyń, Charków and Miednoje. Krzysztof Putra, MP. Deputy Speaker of the Parliament. Former Solidarity official. Co-founder and member of the Law and Justice Party. Ryszard Rumianek, Rector of the Cardinal Stefan Wyszyński University. Decorated: Officer’s Cross of the Order of Polonia Restituta. Arkadiusz Rybicki, MP. Member of the Civic Platform. Decorated: National Order of Merit of France. Andrzej Sariusz-Skąpski, President of the Federation of the Katyń Families. Wojciech Seweryn, Representative of the Katyń Families. Sławomir Skrzypek, President of the National Bank of Poland, Chairman of the Monetary Policy Council. Formerly at the Supreme Chamber of Control and as President of PKO BP SA bank. Leszek Solski, Representative of the Katyń Families. Władysław Stasiak, Chief of the Chancellery of the President. Former Head of the National Security Bureau. Formerly served at the Supreme Chamber of Control and was Deputy Minister and Minister of the Interior and Administration in the Jarosław Kaczyński’s Cabinet. Jacek Surówka, Warrant Officer Class 2, Government Protection Bureau. Aleksander Szczygło, Head of the National Security Bureau. Former Chief of the Chancellery of the President. MP. Former Minister of National Defence in the Jarosław Kaczyński’s Cabinet. Jerzy Szmajdziński, MP. Deputy Speaker of the Parliament. Deputy Chairman of the Democratic Left Alliance Party and its official presidential candidate. Former Minister of Naitonal Defence in the Cabinets of Leszek Miller and Marek Belka. Jolanta Szymanek-Deresz, MP. Deputy Chairperson of the Democratic Left Alliance. Former Chief of the Chancellery of the President in the President Aleksander Kwaśniewski’s administration. Izabela Tomaszewska, Head of the Protocol Team, Chancellery of the President. Marek Uleryk, Warrant Officer Class 2, Government Protection Bureau. Anna Walentynowicz, A legend of the Solidarity movement. Interned during the Polish marshal law of 1980s. Decorated: Order of the White Eagle. Teresa Walewska-Przyjałkowska, Representative of the Katyń Families. Zbigniew Wassermann, MP. Former Minister in charge of coordination of Special Services in the Cabinets of Kazimierz Marcinkiewicz and Jarosław Kaczyński. Wiesław Woda, MP. Member of the parliamentary Caucus of the Polish People’s Party. Edward Wojtas, MP. Member of the parliamentary Caucus of the Polish People’s Party. Decorated: Gold Cross of Merit. Paweł Wypych, Secretary of State at the Chancellery of the President. Former Deputy Minister of Labour in the Cabinets of Kazimierz Marcinkiewicz and Jarosław Kaczyński, former President of the National Social Security Authority (Zakład Ubezpieczeń Społecznych). Stanisław Zając, Senator. Chairman the Senate Caucus of the Law and Justice Party. Janusz Zakrzeński, Actor. Member of the Programme Council of the Piłsudski Association. Known for his numerous roles of the Polish national hero Józef Piłsudski. Twice awarded the title of the Ambassador of Veterans of the Syberian Deportations. Artur Ziętek, Lieutenant, Aircrew member. Gabriela Zych, Representative of the Katyń Families. 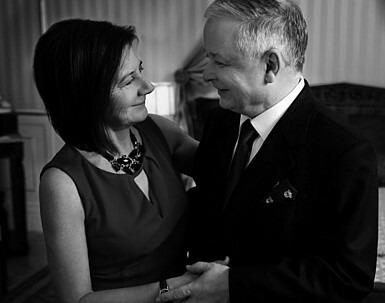 "It is with heavy hearts that we mourn the loss of our nation's President, Mr. Lech Kaczynski, in the company of his gracious wife Maria and the many state persons who have perished along with him. According to the appropriate protocol of State, all government institutions will commence a week long period of mourning through which we pay tribute to the exceptional individuals that we have lost. As such, all previously scheduled activities of the Polish Cultural Institute have been suspended or cancelled where delay is not possible. While this inconvenience is most regrettable we are confident that you will join with us in solidarity as we remember those lives that have passed before us." The book of condolence will be open at the Embassy's premises, 47 Portland Place, London W1B 1JH on Sunday from 10 am till 6 pm and on Monday, Tuesday and Wednesday from 10 am till 12.30 am and from 2 pm till 4 pm. COPYRIGHT AND COPYLEFT, John Baptist Mission of Togo / Mission Jean Baptisté au Togo. John Baptist Mission of Togo by John Baptist Mission of Togo, Mission Jean Baptisté au Togo is licensed under a Creative Commons Attribution-Share Alike 3.0 United States License. Based on a work at www.misssionjb.org. Permissions beyond the scope of this license may be available at http://www.radiotvinfo.org/johnbaptistmission.